I believe public servants are appointed to work for the people, not against them. As a result of HK’s present leaders not fully representing the wishes of the people of HK and not willing to engage in dialogue with them to solve the problems which led to the recent umbrella movement, is not HK’s government leaders rather than the protesters who should take responsibility for the costs of the protests? I understand one of HK’s unique features is it’s international nature which includes foreign employers and foreign nationals. Given HK’s history how can foreigners not exert influence? And don’t a lot of HK people consider Beijing a foreign influence? How can Beijing pretend to be a world power when they are afraid to publish a book focused on our declining ability to dialogue (resulting from our rapid adoption of digital communication) which comes at a time when dialogue is needed more than ever before to resolve the problems we face at work, at home and in society? Does China not have a dialogue problem like the rest of the world? Don’t great leaders of great countries demonstrate the ability to lead dialogue amongst diverse peoples to build their nations? I obviously have questions and can’t wait to be the first foreigner to be sent for Beijing’s re-enlightenment classes. I hope the classes are offered in English for us “white ghosts” (gweilos) because I was told by the Cantonese when I moved to Hong Kong not to learn their language and Mandarin at the time was reviled as the language of the country from which most local people fled as recently as two generations ago (from the looks of things the outflow continues at a greater pace than ever before). In preparation for my attending Beijing’s re-enlightenment classes allow me to explain where my questions arise from. I am a Canadian expatriate living in Hong Kong. I have been here 25 years. My 3 children were born and raised here and we call this home. Unfortunately the current Chief Executive of Hong Kong refers to expatriates as foreign influence and would prefer we not get involved in the current umbrella movement. I have tried to remain silent, to bide my time and watch hoping he and his government would engage in dialogue and sort things out but in 77 days they spent only a few hours in dialogue with the student leaders. White Ghosts of Christmas Past – On 8 December 1941, Japan launched an invasion of Hong Kong which resulted in the British surrendering on Christmas Day of that year. Stanley was one of the last battlefields of the defence. The Royal Rifles of Canada and other soldiers were stationed there. Fighting occurred on the afternoon of Christmas Day and most of the Canadians ended up either dead and buried in Hong Kong or spent the balance of the war in death camps as POW’s. Were they also to be considered as “foreign influence”? I seem to recall all students in China are taught about Dr. Norman Bethune, another Canadian, who lost his life in support of Mao’s forces. Disrespect for souls that lost their lives in defense of HK (foreign or not) is a dangerous thing in this city where most people believe in ghosts and worship their ancestors on public holidays dedicated to this twice a year. Is “foreign influence” only acceptable when you like what is on offer (e.g. foreign direct investment, employment, national defense)? It is insulting to think foreigners contribution to the betterment of Hong Kong is not fully welcome. Hong Kong – Canada Friendships – Since the signing away of Hong Kong to China, Canada has welcomed tens of thousands of Hong Kong citizens many of whom obtained passports and soon became returnees to further the progress of Hong Kong and China. Now that HK and Beijing are saying the one country two systems agreement guaranteeing HK to remain unchanged until 2047 is not worth the paper it is written on, it is likely HK’s returnees will in due course leave and return to Canada. Surely government leaders can see the trend? The grandparents fled China to HK to escape Beijing’s government. The parents fled HK to Canada to escape Beijing’s government. The children went into the streets to ask for a change from Beijing and when the response was negative have continued applying in droves to study and begin anew in Canada. No government anywhere can continue to lose its talent. Perhaps I’m missing the point and need “re-enlightenment”. 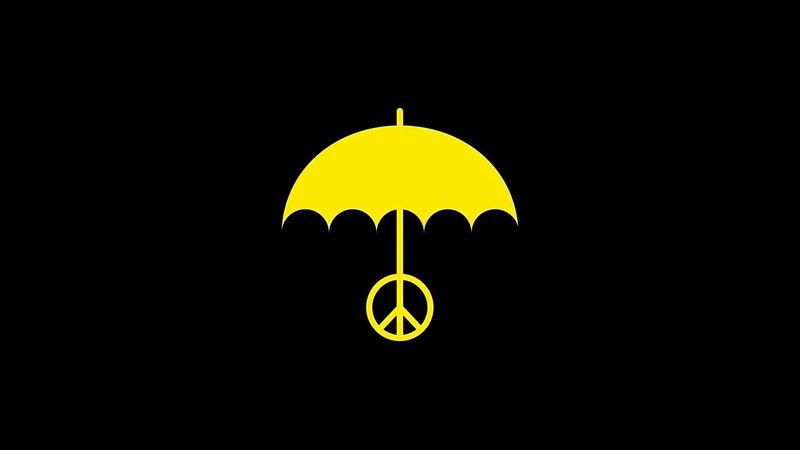 Youthful Passion and Resolve – the young people behind the umbrella movement who gave their time and effort to further our collective good, whether you agree with them or not, have done so with the belief “if not us – who and if not now – when?”. As the rest of us went about our daily lives these selfless young people put themselves in harm’s way for the benefit of all of us. What a difference from their parent’s generation who either fled to foreign passports or surrendered their fate to a future decided by Beijing. I am insulted when I read the HK and Beijing governments are happy to “stub out” the movement as if the protestors were cockroaches infecting our social harmony. The students have already told us they will be back and indeed until the leaders find a way through dialogue to solve the problems brought to the world’s attention by the umbrella movement the situation will not be “stubbed out” but rather passed off like a suicide pass in rugby to the next leader waiting in the wings to take over from the current HK leaders who have managed to alienate most groups regardless of colour: yellow, blue, red. Abdication of Leadership – all cultures consider leadership to include proactively resolving conflict through dialogue. While the HK government’s reaction to the 2014 student protests was better than that of Beijing’s reaction to it’s 1989 student protests, neither HK nor Beijing have resolved anything and the underlying problems continue to exist. What we are seeing in Hong Kong is simply an extension of the underlying problems in China. Huge wealth gaps, serious pollution problems, challenging futures for young people and when people are brave enough to express their desire to see things improve they are either ignored, imprisoned, silenced or worse. True leadership should step up and manage the dialogue. I know this is difficult, especially in China. I know this is life threatening. I know the people desire their leaders to do whatever they can to make their lives better. I know optimal outcomes require dialogue and anything less is an abdication of leadership. Perhaps I have this wrong? Perhaps I need re-enlightening? Dialogue & Negotiation expertise – the final insult pushing me to speak up is my work around the world in dialogue and negotiation. All of the participants in my sessions including: students, senior civil servants, private sector executives and not-for-profit leaders are telling me I should offer my help to solve the problems HK is facing. I’ve tried. I have written books, appeared on TV and radio, spoken to groups and run public training programmes. I know the government in HK are aware of my work because I have trained some of their senior leaders. I know the protestors know of my work because I have talked to them and shared some of my solutions to dialogue and negotiation. I know Beijing knows of my work because they recently banned the current edition of my book Dialogue Gap, in which a small part of the content makes reference to the Dalai Lama, Tibet, Occupy, Taiwan and Whistle Blowers, all currently problems being ignored by Beijing. Even though I’ve given 25 years of my life working to better Hong Kong and China (I used to teach at Fudan and Tsinghua Universities before the air pollution made it unhealthy for me to return regularly to China), the current leadership simply don’t want dialogue. Is this because they fear it as a loss of control? Perhaps I’m missing the point and need re-enlightenment. And so it is for these reasons that I decline the request for foreigners to remain silent and instead take my cue from the mix of Canadians, dead and alive, who hold a vision for Hong Kong that is different from that of the present HK and Beijing Governments and which should be part of the dialogue if we are to overcome our current dialogue gap and ensure Hong Kong and China’s bright future. Canadian and other expatriates, some of whom are also Permanent Residents and vote in HK’s functional constituencies are as much a part of the fabric and history of Hong Kong as the Cantonese, Mandarin and other language groups that have arrived here over the years and made Hong Kong their home. Our voices and opinions cannot be silenced by what sounds like imperial dictate from Beijing. The world view of the old men leading Beijing, who suggest HK people cannot elect whomever they want as their representative to Beijing and who have grown up in the turbulent and deadly years of China’s emergence onto the world stage, is almost completely different from the worldview of the young people involved in the umbrella movement, cell phones in hand, who benchmark their lives with the most open and free societies in the world. Beijing now leads the world’s biggest economy and as such they should end repression (internally and with neighbours) and invite their citizens to select their own representatives to converge in the Great Hall of the People to engage in dialogue on the continued development of the country. It is not Western Democracy that China needs, it is effective dialogue amongst true representatives of the diverse peoples of China, many of whom are not ethnic Chinese and should be treated equally. Beijing should understand the world recognises One Country Two Systems as what it says and stop imposing it’s interpretation on Hong Kong. Hong Kong is different. It has worked well for a very long time. Beijing should stop trying to run it like other parts of China. The Government of Hong Kong needs to return to work, engage in dialogue with its constituent parts and ensure the city returns to being the incredibly efficient, innovative economy it used to be reputed for but which seems to have become a thing of the past. The Government of Hong Kong needs to tell Beijing the whole truth about the aspirations and challenges of all its people. We all have compassion for the difficulty of running Hong Kong while pleasing Beijing but the worst thing Hong Kong leaders can do is ruin Hong Kong to please Beijing. Dear present government of HK – Stand up and lead. It wasn’t meant to be easy and never has been. Just ask the ghosts in the war cemeteries of Hong Kong who are watching your every move. Local leaders, young and old, private and public sector, must recognise the challenges facing Hong Kong require dialogue and innovation, not avoidance. We need to create space for dialogue and engage to solve our problems including: the wealth gap, social disharmony, financial instability, declining international competitiveness, rising cost of healthcare, aging population etc. Finally we need the rest of the world to stand by Hong Kong, help China understand and feel secure about Hong Kong’s differences and that these differences won’t threaten China’s existence of the future of the Chinese Communist Party. If nations look away, in hope of appeasing China, the historic experiment called Hong Kong will vanish and the hardworking Cantonese and foreigners that have made this rock in the South China Sea so successful will simply fly away, many to Canada, and rebuild what is being lost here. What will happen if government leaders in HK and Beijing follow my suggestions? Xi Jingping and the student leaders of the umbrella movement will win the Nobel Peace Prize, Hong Kong will return to the top of the list as best place to live, work and play and foreigners will continue to invest in this remarkable place we love to call home. But what if HK and Beijing government leaders don’t follow my suggestions? Singapore and Shanghai will continue to benefit from the haemorrhage of jobs and talent from Hong Kong, the local government and economy will falter, history will look back on the 1 Country, 2 Systems idea as a failure, everyone with a foreign passport, including Cantonese and Mandarin speakers, will leave to build their future in Canada and the ghosts of those who fought for the betterment of Hong Kong will roll over in their graves knowing the future of China will forever be in jeopardy as long as a small group of leaders in Beijing try to control a billion plus citizens and bully their neighbours in the region. Peter Nixon advises public and private sector leaders on difficult dialogues. He has lived in Hong Kong for 25 years and has worked in over 50 countries. His three children (two of whom are adopted Chinese) were born and raised in Hong Kong. His books: Dialogue Gap (SCMP – “best business title penned this century”) and Negotiation – Mastering Business in Asia are perennial favourites and are available both on-line and from local bookshops. Nixon is a fellow of the HK Institute of CPA’s and as such retains the right to vote in the HKICPA functional constituency. He is a visiting lecturer at universities, works with numerous non-profit groups and when not working as an international speaker and trainer enjoys the countryside of Lantau in Hong Kong and the Laurentians in Canada. Peter’s mantra: The Solution is in the Dialogue is followed by thousands of leaders worldwide. His next book Dare2Dialogue will be released following launch of his forthcoming Difficult Dialogue & Negotiation Preparation APP (“Star Negotiator CPA”) to be released on ITunes and Google Play in 2015. Potential Dialogue (Potential Ltd) is Peter Nixon’s service business from which he advises clients globally and develops solutions for rollout through the Potential Network. Potential Network Ltd. is the network of present, emerging and retired dialogue leaders (some of whom are certified and licensed by Potential Ltd) who leverage Potential’s Dialogue Suite to achieve optimal outcomes at work, at home and in society. Potential’s Dialogue Suite includes four key modules which can be tailored and combined to create coaching, advisory and training solutions for any size audience. The four modules include: The Star Negotiator Workshop, The Dialogue Leadership Workshop, The Dialogic Sales, Service & Sourcing Workshop and The Conflict & Emotional Dialogues Workshop. If you are interested in joining or forming a Dialogue Community of Practice in your community or organization or if you wish to become certified or licensed to use some or all of Potential’s Dialogue Suite, please contact us at Dialogue@PotentialDialogue.com. Challenged in some way? The solution is in the dialogue.